are the best, no one is questioning that. Even the people actually questioning (vegans) know deep down that eggs are sublime. They are quick, delicious, potentially fancy, nutritious and more positive things I’m sure. There are many different approaches to cooking your eggs and whatever your preference may be, it says a lot about who you are. 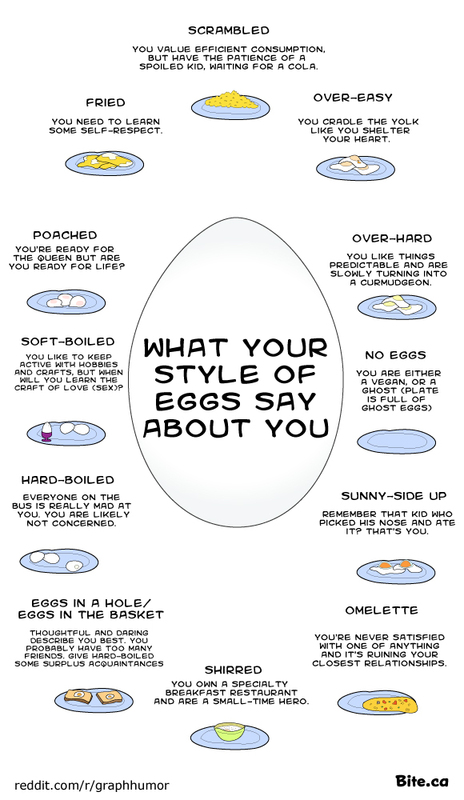 Eggs say more about who you are than you do, so read this chart to find out true secrets of your identity and snicker at those of your friends as well.